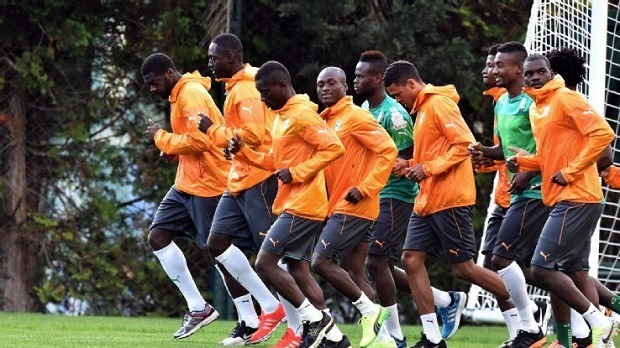 The President of Cote D Ivoire (Ivory Coast), Alassane Ouattara, has offered to double the players bonuses that they will achieve by advancing in the World Cup 2014 in Brazil … If they can advance with a win over Greece today and move on to the Round of 16 in the 2014 World Cup in Brazil. The high representatives of the Nation had decided that it would inspire the players, and ends up as a €35,800 incentive to find a win over Greece and gain the Round of 16 out of Group C.
Might this also motivate manager Sabri Lamouchi for the Elephants to finally start Didier Drogba, who has been a substitution for both matches in Group C vs Japan and Columbia. Drogba’s influence has been substantial, especially noticed in the first match vs Japan when being down 1 – 0 at his entry, they managed a 2 – 1 result and acquired 3 huge points to get their 3rd straight appearance in the World Cup started. While it is their 3rd straight appearance. they have never gotten out of the Group Stage in the World Cup, so they can indeed make their mark in in their Nation’s history by going further then they have ever achieved. How much will a monetary amount inspire a team that was al ready expected by many to come out of the Group to begin with, so do they take it confidence or is it implying the lack there of in the team and their chances? We will find out later today, but the Ivory Coast Elephants are surely expected by the line setters of the world to go through, being strongly favored today. So how does Greece respond as well? It seems that no one is interested in how the Greeks will perform in today’s match at Forteleza, Brazil, being the labeled underdog and given no chance by many to go further in the event. Answers will be given starting at 4 PM Eastern Time on ESPN and ESPN2. Stay tuned to see if it comes down to having to motivate players with money, was it enough motivation for both teams to now leave it all on the pitch as an effect of the expectations, or if underdog Greece can mark their own mark on the grandest stage in Soccer, the 2014 World Cup in Brazil.